We all thought libraries were going to leave this earth like VCRs, Palm Pilots, and cassette players. Don’t count libraries out just yet. Many libraries across the country have jumped on the ebook bandwagon and will now allow you to borrow from their electronic catalog. How amazing is that? I love when the establishment reinvents itself to take advantage of new opportunities. Kindle is the most popular ebook at most libraries. That is because its owner, Amazon, was smart enough to team up with the majority of libraries. Some places offer books for Nooks as well. Don’t forget that you can get Kindle ebooks on your iPhone and iPad as well. In order to take advantage of this convenience, you still have to have a library card, (you can get one from your local branch or you can obtain one online) and make sure you have their pin-code so you can access all of the available ebooks in their collection. My good friend J.D. Biersdorfer of The New York Times recently did a blog piece on how to borrow an ebook from the library, so if you click here you can follow her instructions. Each library has its own set of rules but they are very easy to follow. Also note that each library has its own loan period, so be sure to check that out. Some libraries even got wise to which titles are more in demand and put shorter time constrictions on them. Here are some other helpful tips. You do not have to go to the library to borrow a book. You can now borrow (download) a book from the comfort of your home on the library’s website. Depending on which library that you belong to, you may have to look around a bit for the ebook link, but most sites place it right on their home page. After clicking it, you are free to browse through the available ebooks. Once you are ready to checkout, you click the Checkout button and follow the prompts, including signing in with your local library card and account information. However, if you’re not signed up, it should allow you to do so on that page. 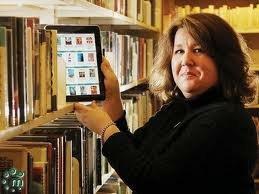 One of the biggest advantages of downloading an ebook from the library is that it is less expensive. If you are a book collector, this is not for you. 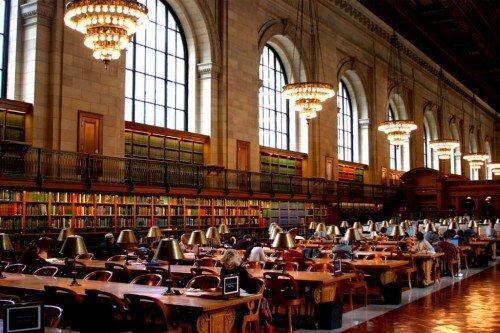 For the majority of us, borrowing ebooks from the library is now a big wow factor.